The main house comprises of a fully equipped kitchen with state of the art appliances. 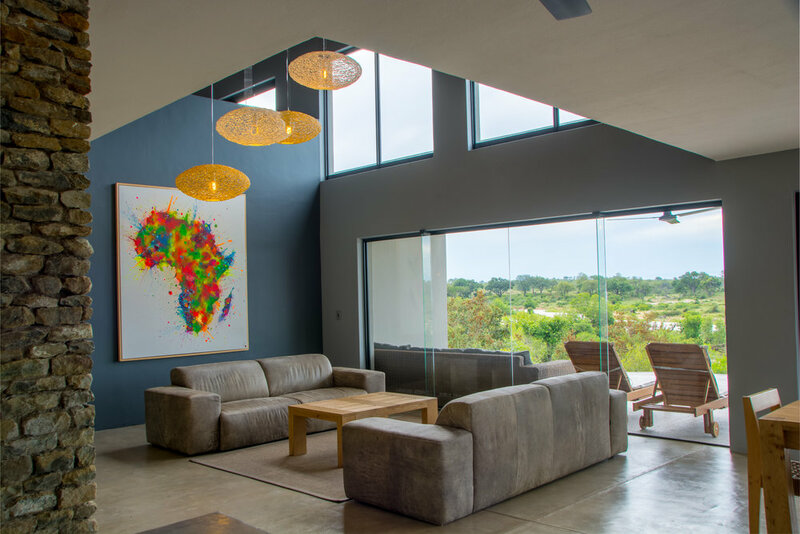 An open plan dining and living room ensures you have uninterrupted views of the Crocodile River throughout the house. Upstairs you will find a games room, complete with table tennis, a dart board and TV with a wide variety of channels. The house has WiFi and air conditioning throughout. The house and rooms will be serviced on a daily basis. Free washing and ironing services available upon request.